There are a few movies out this holiday season, but the reality is there’s also only one the gamers and geeks and a whole bunch of other people will care about for the holiday season. 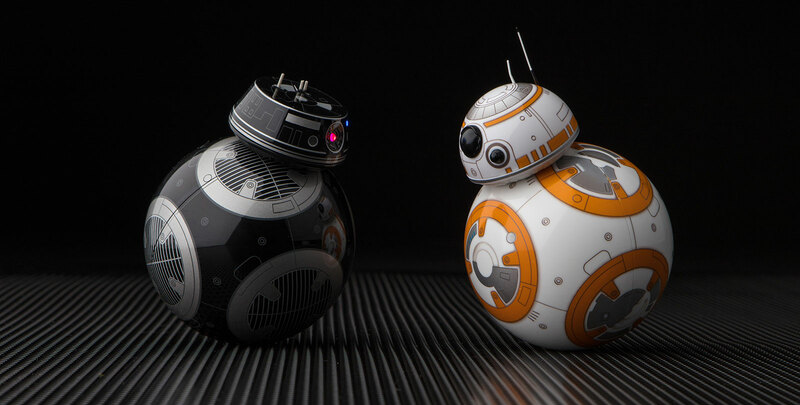 Sphero has been making spherical robots for entertainment and educational needs for ages, and thanks to BB-8 and the new BB-9 droid in Star Wars being robotic balls, too, it makes sense that you can find them both as robots. And that’s exactly what the Sphero BB-8 and BB-9e are, with the good guy (BB-8) and the bad guy (BB-9e) giving you something to play with whether you support the Rebels or the Imperials. Of course, Sphero’s other Star Wars release for the year is something every fan of the movie has always wanted, even back in the 80s when the proper first movies were released. Yes, it’s a personal version of R2D2 you can control for yourself that can also do his own thing, and even watch the films with you, making it just about the coolest present you can find around. 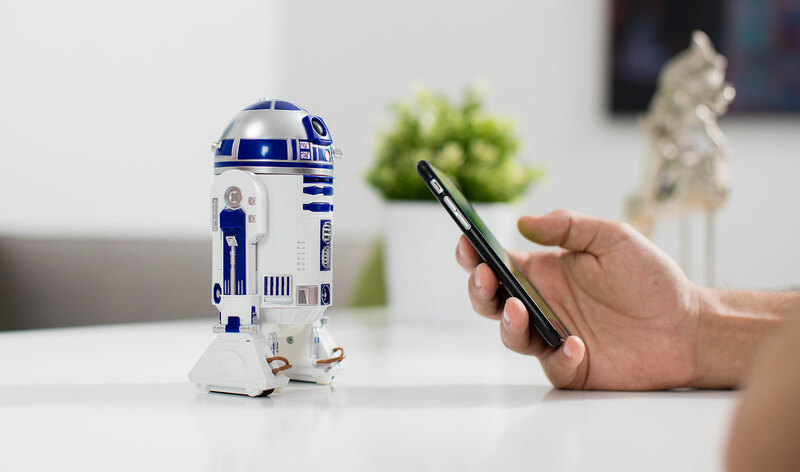 While Sphero’s R2D2 lets you control your very own R2D2, LittleBits’ R2D2 Droid Kit encourages you to build your very own R2D2, making it a Star Wars gadget set for someone keen to learn about building and programming. 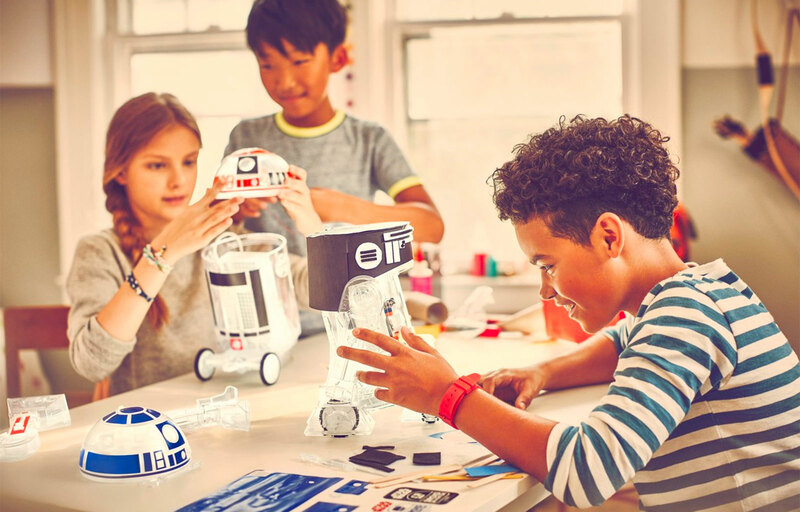 There are 23 parts, stickers, and a few different modes for the LittleBits Droid kit, including an app to let you get creative with your very own personal and customised droid. Another robot, UBTech’s take on the droid is a little different. While the Sphero R2D2 and BB-8/9e might be the droids you’re looking for, the UBTech First Order Stormtrooper Robot is all about being the guardian of your life. 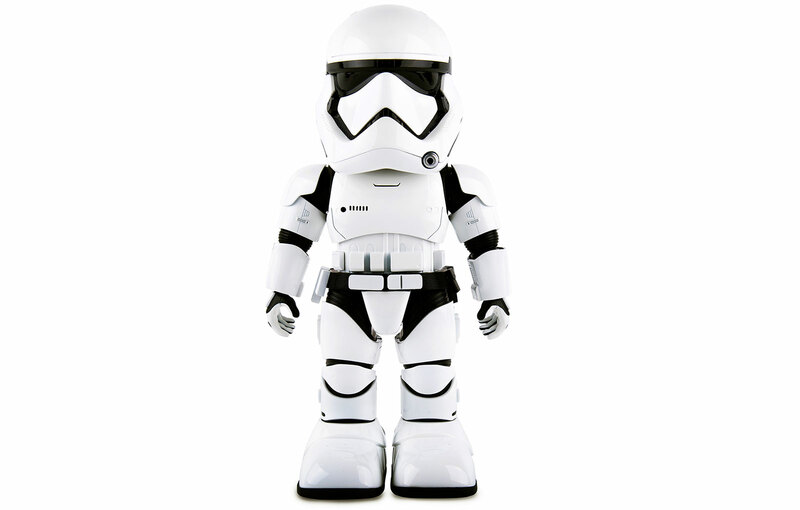 He’ll take voice commands, walk to areas to act as a sentry guard, and there’s even facial recognition, allowing you to tell the Stormtrooper who’s good and who’s bad, with augmented reality in both first- and third-person. 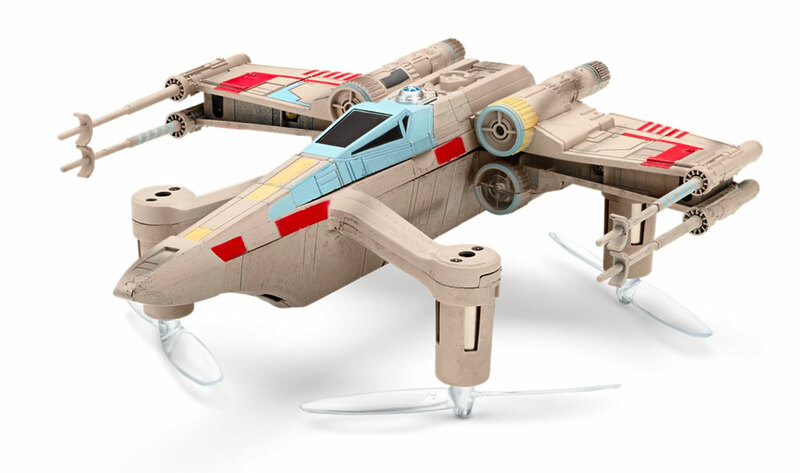 The one thing we’ve always wanted outside of our very own R2D2 was our own X-Wing, but since we don’t have a giant space ship to fly, Propel’s drones are a pretty good substitute. Propel’s drones are more or less identical, but take different shapes, packaging a remote control flying machine into the casing of Luke Skywalker’s T-65 X-Wing, Darth Vader’s TIE Advanced, or the 74-Z hovering Speeder Bike that graced the Clone Wars and the Battle of Endor. One is great, but two would be even better, because then you can have proper space battles in the sky above your home. A little bit different from the onslaught of robots and drones, Lenovo’s Jedi Challenges is a unique take on what augmented reality can be when it meets a movie franchise as well-developed as Disney’s Star Wars. Relying on a smartphone and a special assortment of technology from Lenovo, Jedi Challenges relies on a headset and a tracking beacon to let you practice your lightsaber skills inside of a system not unlike what Luke Skywalker played with on the Millennium Falcon in A New Hope. You’ll need a recent phone if you want to use this, but provided you have something from the past two years — an iPhone, a Pixel, a Samsung Galaxy S7 to S8 — you should be fine. Plus, bring your desire to vanquish Rebel scum, because you’ll want that, too. 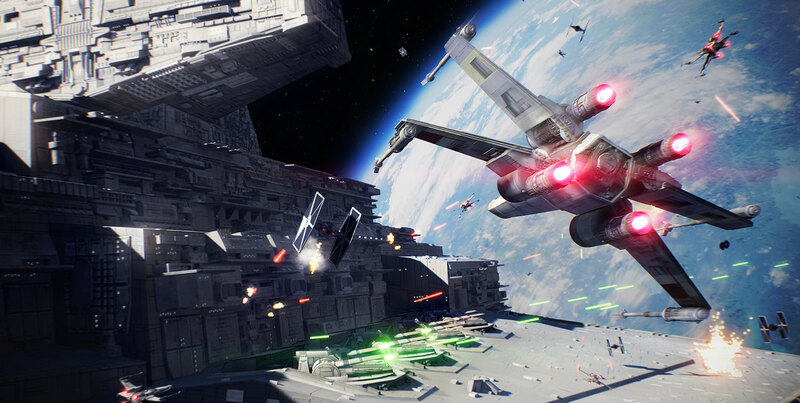 The Star Wars game for the year arrives with a great campaign that’ll make you feel like you’re a part of the films, while the multiplayer will give you a taste of what it’s like to be both good guy and bad guy, but it’s totally your choice. You’ll want a fairly new console to play this one, though, so make sure the person you’re buying for has either a PlayStation 4, Xbox One, or a Windows PC with enough graphical grunt to play. If the person you’re buying for doesn’t have a PlayStation 4 to play Battlefront II, consider the limited edition PS4 Pro making its way to stores. Not only do you get the better and more graphically capable version of the PlayStation 4 in a Star Wars-themed print, but you get the game with it. Easy. 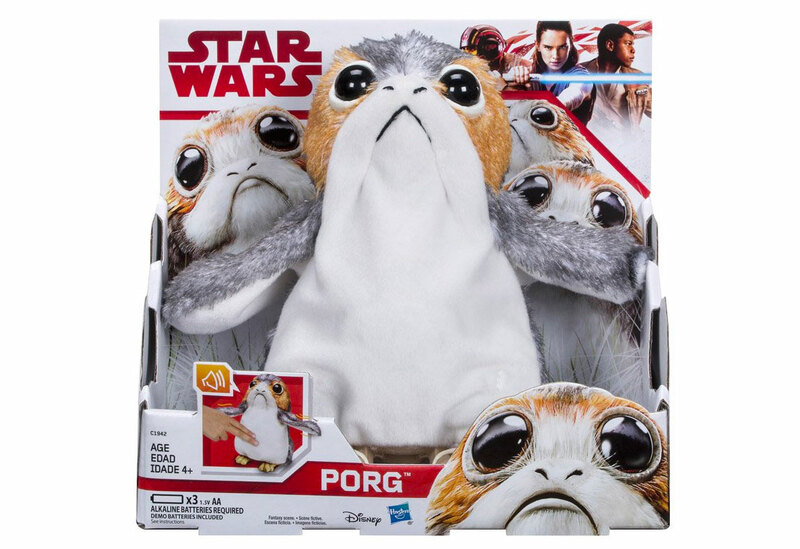 What we hope won’t end up being “The Last Jedi”’s equivalent of Jar-Jar Binks (meesa sorry), the Porgs are a cute loveable furry thing that you’ll find in the new film that has a talking plushy equivalent. And we’re sorry to say, but we already want one. Or two. Or three. Seriously, these could be tribbles and we’d have no trouble (and yes, we’re sorry that we threw in a Star Trek reference in a Star Wars buyer’s guide).